Food & Wine Test Kitchen manager Kelsey Youngman has you covered. Okay, but with that steel plate, tiny holes, and razor sharp edges protruding everywhere, how the heck should you clean it? We asked Food & Wine Test Kitchen manager Kelsey Youngman for her tips on how to best care for your precious and oh-so-practical Microplane. Wash it right away. While you’re still cooking, before the food has a chance to dry/harden onto the blades. Otherwise you'll be stuck with those nearly pasted-on bits of zest and pith. How do you wash it? Most Microplanes are made of stainless steel so a dishwasher isn't their friend in the long run. Instead, soak it in warm/hot water for a few minutes while doing the rest of your dishes, then wipe it off with a soapy sponge in the direction of the blades. Always fully dry it and store it in the plastic protective cover. That's for two reasons: to reduce dulling and to reduce accidentally slicing your fingers! Finally, some foods will stain it (like turmeric), so consider having one for savory foods (garlic, turmeric, cheeses) and one for chocolate and other dessert ingredients. Now that your Microplane is squeaky clean, take it for a spin with this tomato gratin with orange zest, grilled ouzo-and-nutmeg lamb chops, or just add zest to everything you can get your hands on! 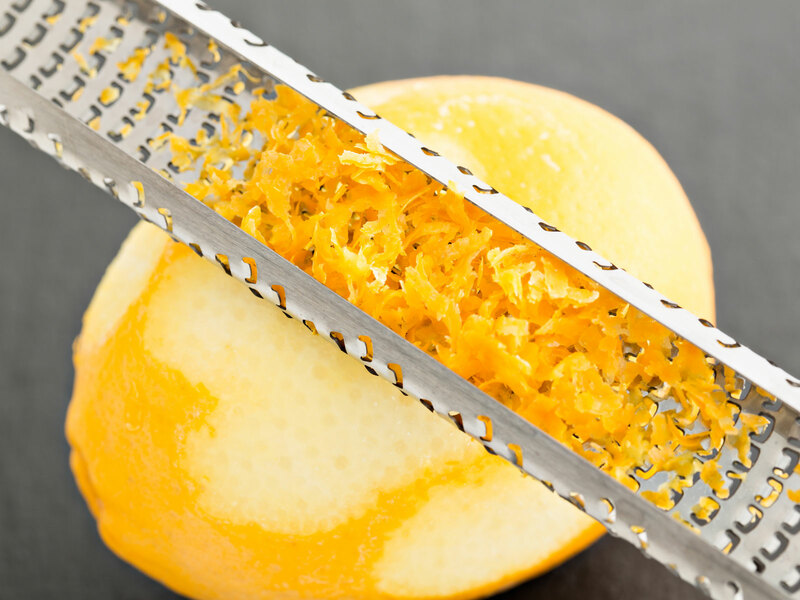 Go ahead, get to grating!